5744-03 high-res image, 5744-04 high-res image. Our last stop was Michael Levine. 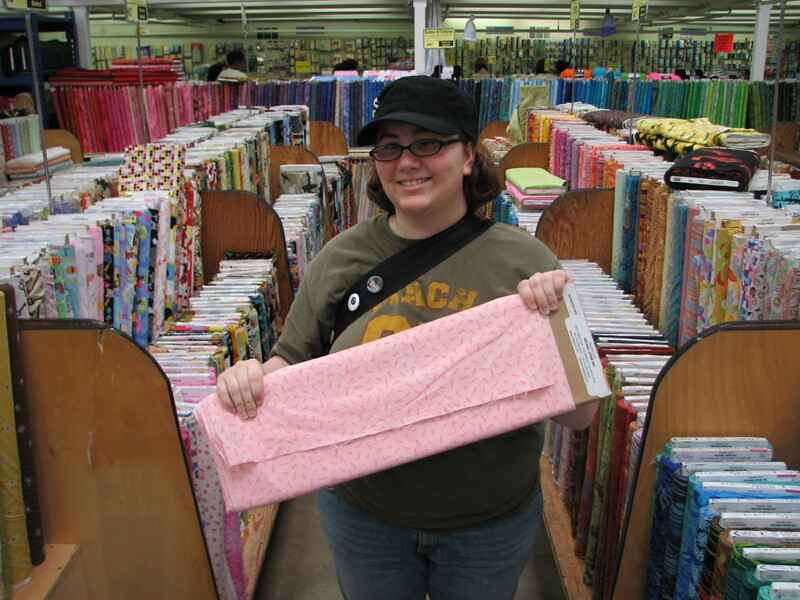 Stephanie Duchin has found some pink "LOVE" fabric that she likes, which she'll use for a friend. 5744-05 high-res image, 5744-06 high-res image, 5744-07 high-res image, 5744-08 high-res image. 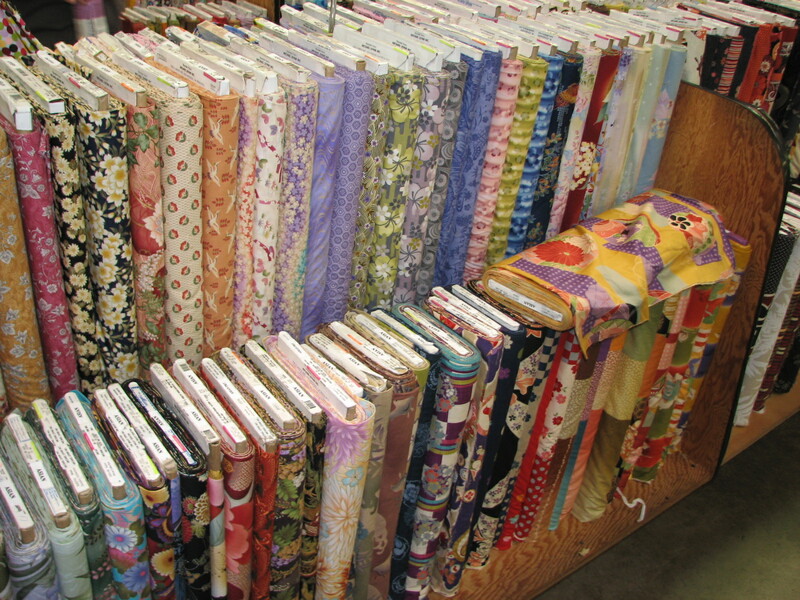 Michael Levine's has expanded their "Asian" cotton print fabric since the last time I was here. Now it takes up four bays. 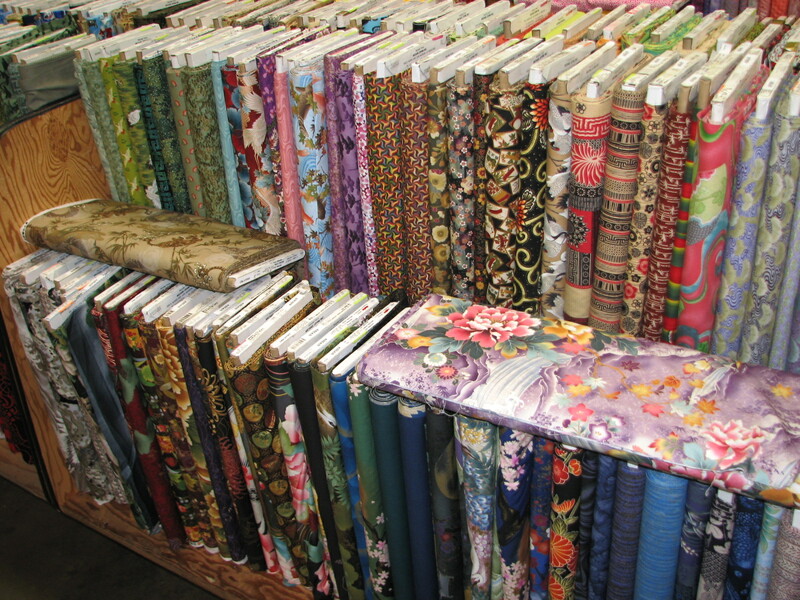 Unfortunately, the Alexander Henry "Dragon Princess" fabric is out of print again. 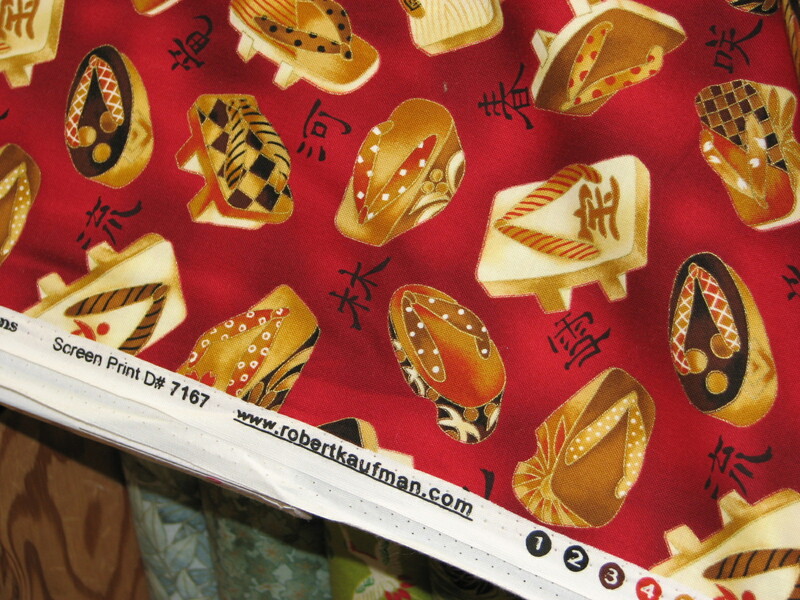 This Robert Kaufman sandal fabric looked great, but I couldn't buy everything. 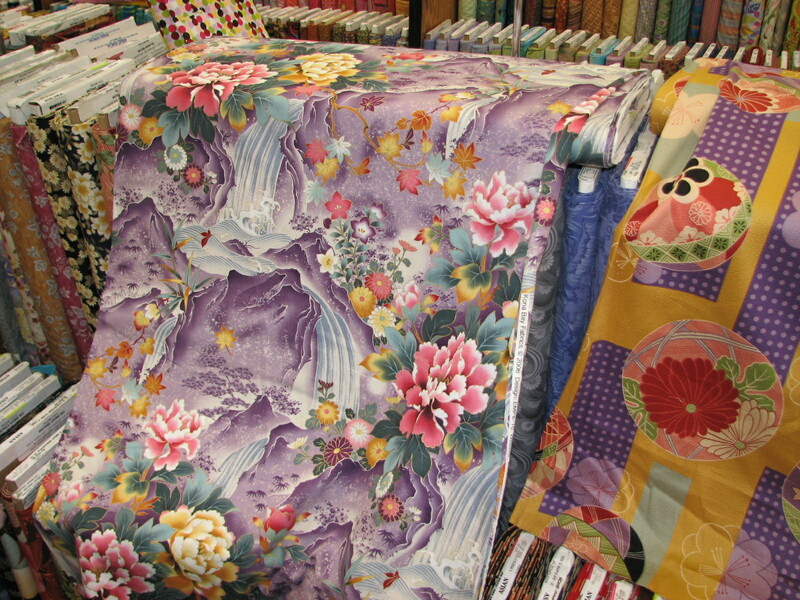 I took home some of this purple waterfall fabric. 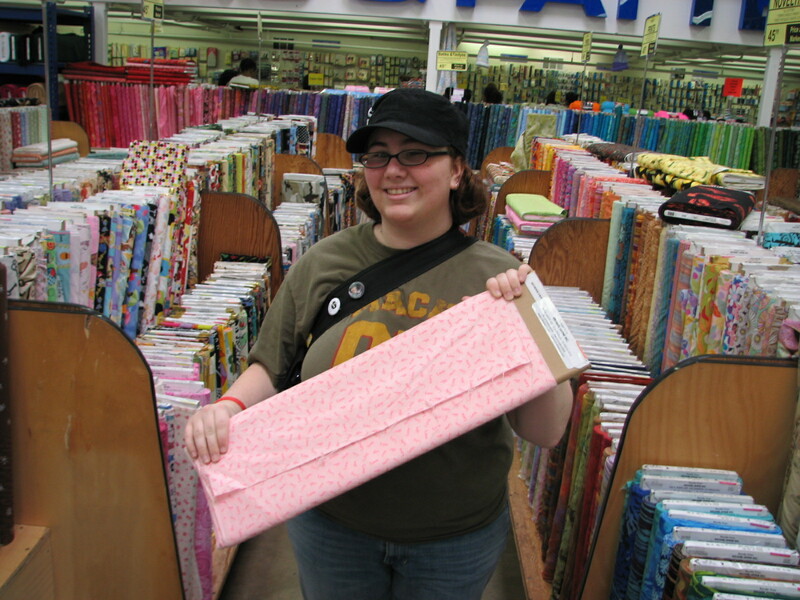 Not pictured: a blue water/flower print that I also bought. 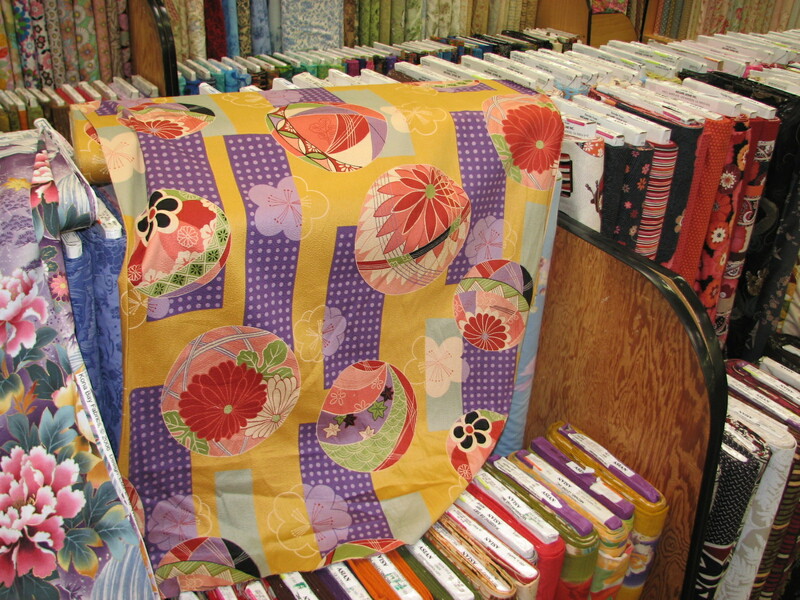 This bamboo cloth looked great, but I decided I couldn't afford it today. 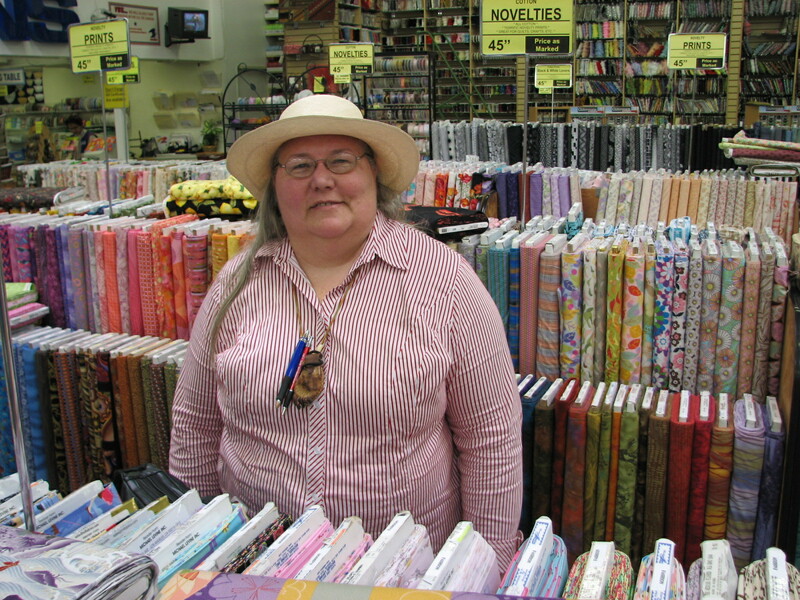 Annie Mitschek (from Costumers Guild West) was there, and we chatted a bit. 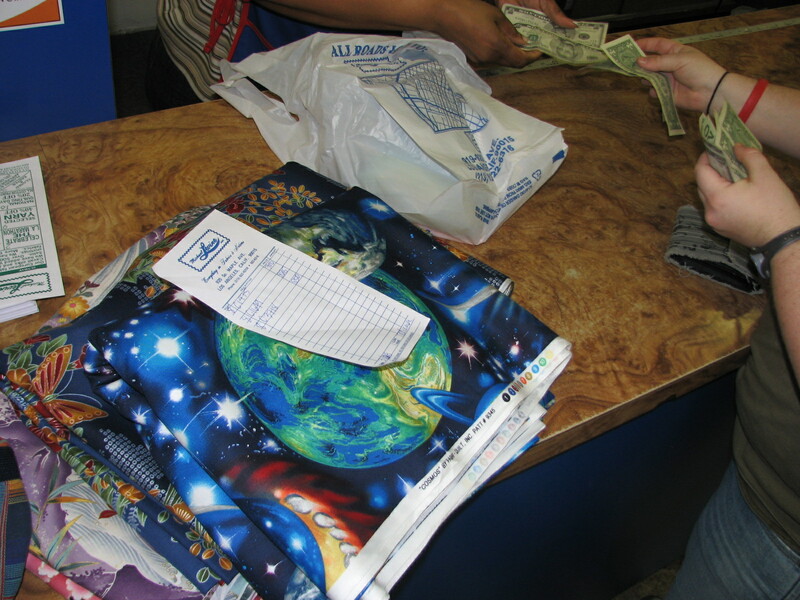 Here's the amazing "planets" fabric I found. Huge print. Not suitable for small or skinny people's shirts. Fortunately, I'm neither. 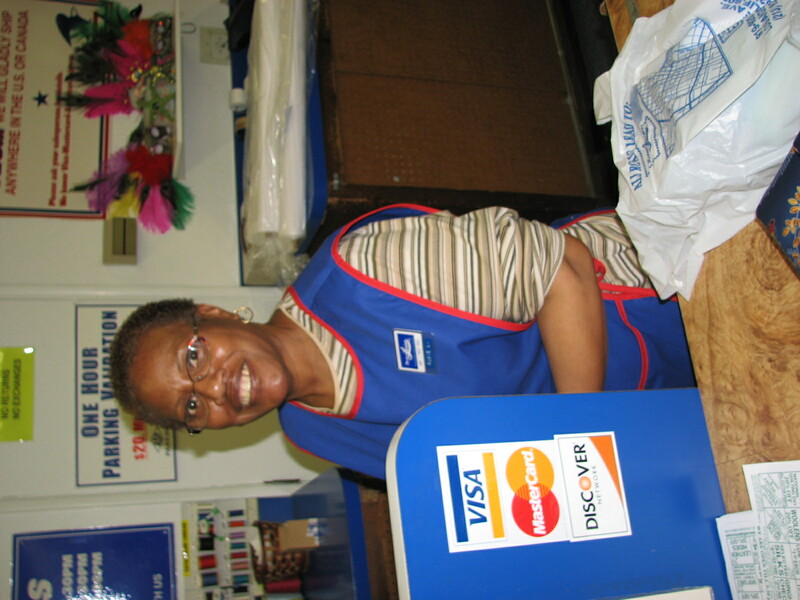 Rosie L., who rung us up at Michael Levine. We've spent 3 hours in the L.A. 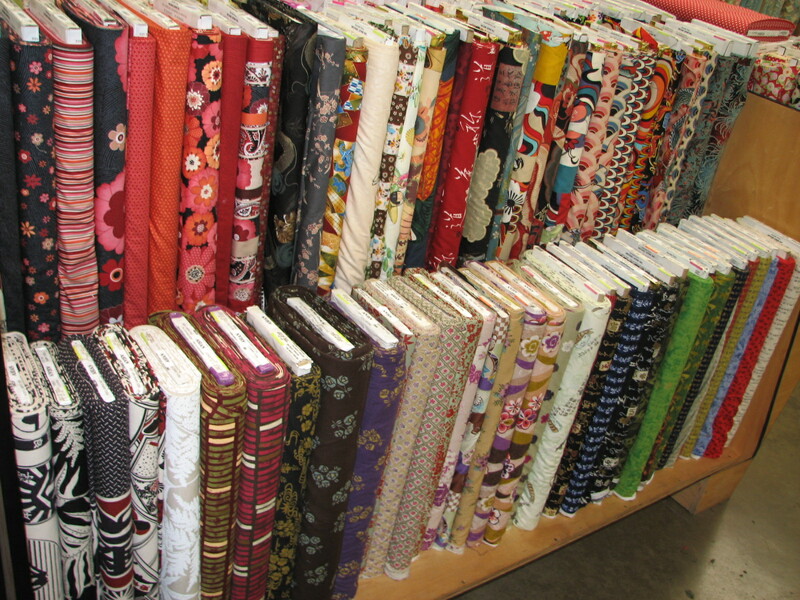 Fabric District. 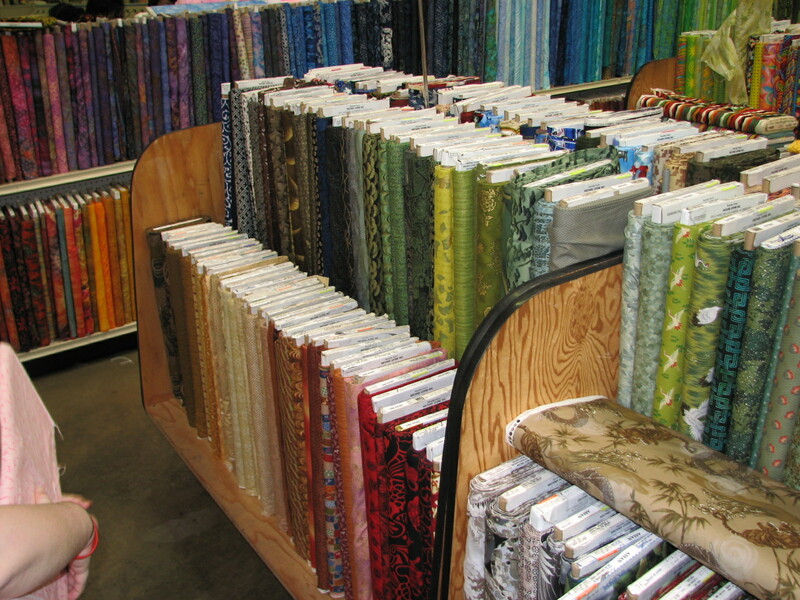 Stephanie has found everything she came for, and I've got a backseat full of shirt fabric. Next: dinner.